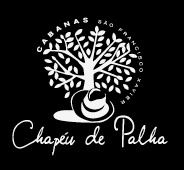 When the dream of creating Chapéu de Palha first occurred to us, we had a good idea of the kind of person we would like to cater for. Our future guests would be couples in love, looking for an opportunity to be together and be undisturbed by everyday concerns. The chalets were then built with that in mind. They had to be perfect for a romantic getaway! Since then many contented couples have stayed with us. The 6 chalets have been exclusively designed to offer our guests charming, comfortable and elegant accommodation. The chalets are inspired by nature, silence and great views. The rooms exude romance. The chalets have been designed by the owner architects Claudio Daniel Rodrigues and Mônica Gallon.